Boats & More have a wide range of lures and baits available in store. With some of the best brands in the lures / baits industry you will find what you want with the wide range of products available in store. Check out some of our key suppliers below. In 1985 Oar-Gee Lures was born from a lack of good lures for Australian native fish. From those humble beginnings Oar-Gee Lures is now one of Australia’s best known lure brands, manufacturing a range of lures to suit all freshwater species, Barramundi and saltwater species. Targeting predatory fish such as Murray Cod you must have trust and confidence in the lure you choose. Sumo delivers on all fronts, fantastic range of colours, 100% tank tested, Mustad “ultrapoint” 3X trebles, 3D eyes, internal rattle, wire through design and the unmistakable 3 rib design. Australian made CC Lures have features such as extra deep diving capabilities, durable construction, strong body vibrations and a colour selection suited to Australian waters. The timber lures are individually handcrafted from selected Australian Beech with some models are available in high grade plastic. Every lure is hand detailed and air brushed with high grade acrylic paints and finished in extremely hard, two part clear protective coating. Outlaw spinnerbaits prides itself on quality components and expert workmanship. Their spinnerbaits are hand poured and painted by a tradesman spray painter. Gamakatsu hooks and 045 heavy duty stainless steel wire make them strong enough to land the largest Cod or Barra your lucky enough to hook up. Jackall lures have a wide range of lipless crankbaits, crankbaits, mask baits and topwater lures with such a wide range available you are sure to find what you are looking for in the Jackall range. Mudguts Spinnerbaits spinnerbaits include laser sharp hooks, ball bearing swivels, coated blades, soft plastic trailers, realistic jig heads and the toughest silicone skirts in a massive array of colours. They manufacture top shelf spinnerbaits using the best components money can buy. Kingston Lures offers you the big name USA Brands & Components. Worth, American Fishing Wire, Xuron & Lunker City Soft Plastics. They have our their own brand of LureStrike Spinnerbaits , Buzzbaits & Chatterbaits . The biggest selections of Spinnerbait & Buzzbait Components in Australia, Skirts, Blades, Wire Forms, Swivels & More. Rapala has been the world’s favorite fishing lure since 1936. Now Rapala lures are trusted by fishermen in over 140 countries worldwide. 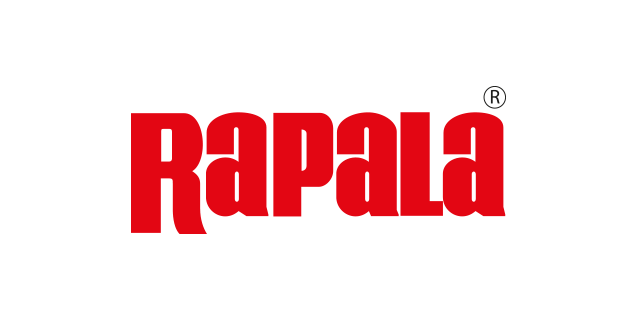 Rapala’s reputation stems from a towering list of world records, the knowledge of our Pro Staff, affiliation with the top brands in the industry and a history of unwavering dedication to the highest quality. JAZLures has been developing a range, designed by Fisherman for fisherman. Their lures are designed and manufactured to meet anglers demand from around the world. All lures have been extensively tested. They are always listening to anglers needs from the Pro Angler to the every day fisherman. They continue to create new colours and patterns through their ranges. Humble beginnings that hardly seem like a 1-2-3 recipe for success, but after 39 years, Mister Twister continues to lead the soft plastic fishing lure business, each year becoming more and more innovative. Whoever said “You get what you pay for…” never bought a Trollcraft Lure! Trollcraft make the best lures in the world. Professionalism, integrity, responsibility and creativeness are the principles of STRIKE PRO. Over the past thirty years, our alliance with International customers, plus our continuous improvement to achieve our customers’ desires to meet high quality standards, has made us one of the World’s most professional and innovative lure manufacturers. SÉBILE has only been in business for four years, since 2006, and already the company has won eleven of the international tackle industry’s most highly-coveted awards, including winning awards at all three of the world’s major international tackle trade shows in 2010, ICAST in the USA, EFTTEX in Spain and AFTA on the Gold Coast. To have such success in such a short time is exceptional and unprecedented, and a testament to Sebile’s commitment to innovation, quality manufacture and performance. See what you can achieve using our gear. Amateurs and professional alike are finding our tackle technology drives their success. Fishing with soft lures or hard bodies (Ripperz, Guzzlerz or Hardz) requires a completely different approach and way of thinking to the way you fished in the past. The TT range has been developed specifically to suit the needs of Australia’s light-tackle sports fishing nuts. Our jig heads, baldes, spinnerbaits, and other metal lures and accessories have been tested by not only top tournament anglers, but by people like you, who use the products day in, day out on the water, and want to see results. In the Koolabung range you will find lures specifically designed, and extensively water tested, for Bream, Bass, Barramundi and Murray Cod, but the catch list extends to almost all salt and fresh water fish in Australia. The new Koolabung X-RAY range of vibration blade lures is creating great interest throughout the recreational and competition fishing fraternity, as the catch list of this amazingly effective and versatile lure grows daily. For anglers who require and demand more from their gear ECOGEAR is a range of high quality soft plastics and hard bodies to give tournament anglers the edge. High quality components and designs work for the angler to help them make the most out of their time on the water. 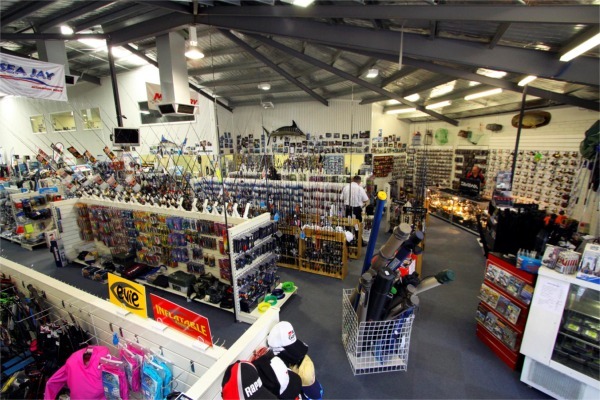 EJ Todd is a wholesaler supplying over 400 fishing and tackle speciality shops around Australia. A fourth generation family business, it was established before World World II, around 1936, by Edward James Todd. Edward was later joined by his son Athol, and today his grandson Graham is at the helm with his wife Pam. Two of their children Bryan and Belinda joined in 2001 and 2009 respectively. A handful of experienced and dedicated reps plus picking and packing extraordinaire Mark round out the EJ Todd team. Megabass was initially released in Australia during 2006 and since then expanded to meet customer demands including the introduction of the rods in 2008 and the reels which are new this year. Megabass has grown to become a must have lure for tournament fishermen around the country and has proven its fish catching ability with many tournament wins. Yo-Zuri has been making quality lures, fishing lines, and leaders for over 50 years in Japan and shipping throughout the world. Yo-Zuri lures are crafted to be the most realistic looking, have the best actions, and designed to help each angler succeed in having some of their best fishing days. Bomber Lures is the most trusted name in crankbaits. Bomber’s A series has dominated game fishing for more than 20 years, and the Fat Free Shad BD7F has been the go-to lure for bass fishermen for more than a dozen years. The Reidy`s Lure Factory is situated on the outskirts of Darwin at Wishart Siding on the Stuart Highway about 100 metres before the turnoff to Kakadu National Park which is the Arnhem Highway. Halco is an Australian owned and run business based in Fremantle Western Australia, with a small and effective management team that brings with it a wealth of design, manufacturing and marketing experience, not to mention a lifelong love of fishing. Tilsan lures are made from hand selected timber. Halco is now Australia’s foremost and biggest lure manufacturer with the acquisition Tilsan Lures. Yhe prestigious timber lure brand Tilsan Lures is growing in demand in export markets as the quality of these unique lures is fast being recognized. Visit the Halco website: www.halcotackle.com and navigate to timber lures. 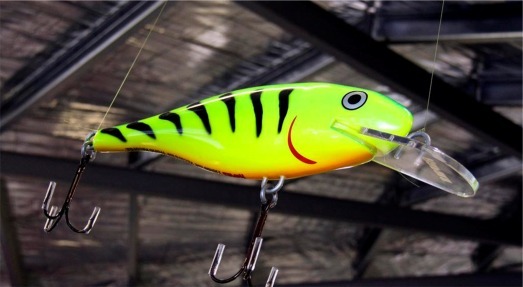 Boats & More stock a range of these famous Australian fishing lures. Australian lures designed by Rob Gaden.